the previous wave of anti-government demonstrations, in 2013; their demands are unambiguously reactionary, and they include primarily the country’s elite. While the protests are presented as being against corruption and for the impeachment of President Dilma Rousseff, they are actually about party political jockeying, shifting alliances between influential groups and disputes about political funding. The 2015 demonstrations erupted in the political vacuum created by the paralysis of Dilma’s administration because of its own ineptitude and Brazil’s worsening economy. Those difficulties were compounded by aggressive media reporting of the Lava Jato corruption scandal, focusing on a network of firms channelling vast sums to individuals and political parties through the state-owned oil company Petrobras. Readers should not underestimate this crisis and its devastating implications for the Brazilian left. 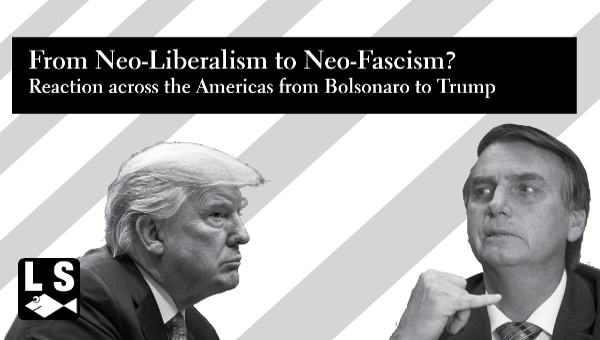 break with neoliberalism that has delivered significant gains in employment and distribution, but also entrenched poor economic performance and left Brazil vulnerable to the global downturn. In the political domain, the PT has transformed the social character of the Brazilian state, while simultaneously accepting a fragile hold on power as a condition of power itself. There has been no meaningful attempt to reform the Constitution or the political system, challenge the ideological hegemony of neoliberalism, neutralize the mainstream media or transform the country’s economic structure or international integration. The PT also maintained (with limited flexibility in implementation) the neoliberal macroeconomic ‘Policy Tripod’ imposed by the preceding administration, including inflation targeting and central bank independence, free capital movements and floating exchange rates, and tight fiscal policies. The PT administrations were limited by the ‘reformism lite’ allowed by their unwieldy political alliances. This strategy alienated the party’s base and provoked the opposition into an escalating attack that came to the boil in March 2015. Lula, the founder of the PT, was elected President on his fourth attempt, in 2002. For the first time Brazil was led by a genuine worker-leader. Lula’s power was limited by a powerful Congress that is also fragmented across two dozen raucous and unreliable parties. The PT has consistently elected only around 15 per cent of Deputies and Senators, and the ‘reliable’ left (including the PT) rarely exceeded one-third of seats. Consequently, Lula and Dilma have had to cobble together unwieldy coalitions prone to corruption – both from government, through pork-barrel politics, or from capitalists buying votes and funding rival parties fighting elections every other year. The PT had to manage this ungainly Congress under the gaze of an unfriendly judiciary, a hostile media, an autonomous Federal Prosecution and a corporatist Federal Police often working in cahoots. The first Lula administration introduced moderate distributional policies, including the formalization of labour contracts, rising minimum wages and new transfer programmes. However, broader social and economic gains were limited by the government’s determination to buy ‘market credibility’ through the dogged implementation of the neoliberal Policy Tripod. The ensuing policies constrained transfers, public investment and industrial restructuring, and promoted the overvaluation of the currency and the reprimarization of the economy. this apparent sell-out was insufficient to remove the political resistance against Lula, and his administration was criticized both for what it did (‘packing up the State with acolytes’ and ‘taxing producers to fund sloth’), and for what it did not do (deliver rapid growth and social quiescence). dislocation from the outer circle of power, and jealous of the economic and social rise of the broad working class), and scattered segments of the informal workers. through state investment, development funds, wages, benefits and labour law. The economy picked up speed, and taxation, investment, employment and incomes increased in a virtuous circle. The dynamics was sufficiently strong to support bold expansionary policies in the wake of the global crisis. By the end of his second administration, Lula’s approval rates touched on 90 per cent. exports and raise the technological content of manufacturing production. Brazil created millions of jobs but they were mostly precarious, poorly paid and unskilled; urban services were neglected, manufacturing shrank, and there was alarming underinvestment in infrastructure. the most left-wing President of Brazil since João Goulart was deposed in 1964. Dilma’s first administration shifted macroeconomic policies further toward neo-developmentalism. Interest rates fell, fiscal policy became more expansionary and new investment programmes were introduced. The government intervened widely to reduce costs and expand infrastructure, and BNDES financed an increasing portfolio of loans. Some capital controls were introduced, and the government expanded its social programmes aiming to eliminate extreme poverty. The strategic goal was to shift the engine of growth away from a faltering external sector and toward domestic investment and consumption. This strategy failed. The international crisis tightened up the fiscal and balance of payments constraints; quantitative easing in the USA and UK destabilized the real, and global uncertainty and strident critiques of ‘interventionism’ limited investment. The public finances deteriorated, inflation crept up and GDP growth sagged. Government perceptions that the economic strategy was not working, that its credibility was declining and that the external environment was unlikely to improve led to a policy zigzag in 2012, when Dilma’s economic team leaned back toward the neoliberal Policy Tripod. Fiscal austerity returned, and the inflation target became increasingly important. This about-turn came too late to be effective, and too hesitantly to restore faith in the government. Dilma’s administration had to confront not only a worsening economy but also mounting political turmoil. Since Lula stepped down, the political hegemony of the PT depended on perceptions of ‘managerial competence’, the absence of corruption scandals, continuing growth and distribution, and stable political alliances. None was easily achievable under adverse economic circumstances; worse still, Dilma Rousseff never had Lula’s political talent. She is allegedly impatient with her allies, intolerant with self-interested entrepreneurs and uninterested in social movements; she also intimidates her own staff. A vacuum emerged around the President just as the economy tanked. The media ratcheted up the pressure and started scaremongering about an impending ‘economic disaster’; the government’s base of support buckled and it became difficult to pass legislation. The judiciary tightened the screws around the PT, and successive corruption scandals came to light. In early 2013, the opinion polls suggested that support for the government was falling, and, in June, vast demonstrations erupted. They exposed the tensions due to the economic slowdown, the government’s isolation and its failure to improve public service provision in line with rising incomes and expectations. The middle classes also vented their fury against the widening of citizenship, changes in the State, transfer programmes, university quotas for blacks and state school pupils, labour rights for domestic servants, and so on. still insufficient. The government never had the support of the financial bourgeoisie, and was not about to gain it now. It lost the middle class because of its distributional and citizenship initiatives. It alienated the organized workers because of the worsening economic situation, corruption scandals and the policy turnaround. It distanced the informal workers for those same reasons and the limitation of the transfer policies. And it lost the internal bourgeoisie because of the economic slowdown, lack of influence over the President and erratic public policies. These groups were bestowed a semblance of coherence by a hostile media claiming that the government was incompetent and the State was out of control. Finally, the administration earned the hostility of Congress because of its inability to negotiate. intolerable deterioration in service provision, symbolized by transport, in 2013, and water scarcity, in 2014-15. In both cases, the fulcrum was São Paulo, the country’s largest metropolitan area, its economic powerhouse and – crucially – the bedrock of the political right as well as the birthplace of the PT. macroeconomic programme of the opposition triggered an escalation of the political crisis. Another corruption scandal captured the headlines. The Lava Jato operation led by the Federal Police unveiled a large corruption network centred on Petrobras and including cartels, fraud, robbery and illegal funding for several political parties, among them the PT. This scandal catalysed a mass opposition movement demanding the ‘end of corruption’ and ‘Dilma’s impeachment’, even though there is no legal, moral or political justification for it. Examination of the opposition’s grievances rapidly leads to a laundry list of unfocused and conflicting dissatisfactions articulated by expletives rather than logic. 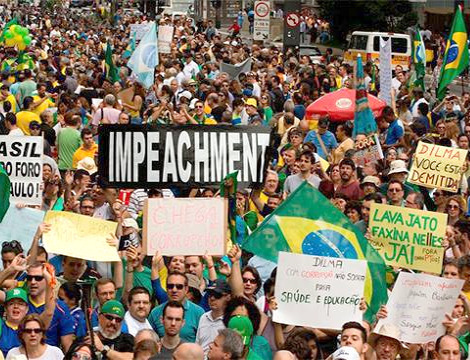 The protests against Dilma’s administration are doubly misleading. First, they pretend to want her impeachment, even though this is legally untenable, the bourgeoisie knows that this would disarticulate the economic ‘adjustment’, and the PSDB (the neoliberal Brazilian Social Democratic Party, the largest opposition force) has no interest in delivering power to Vice-President Michel Temer’s centrist PMDB or allowing the PT to play the victim and recover in opposition, perhaps led by Lula. It is more convenient to keep Dilma as a lame duck President. Nevertheless, the next Presidential elections are still three years away, and the government could collapse unexpectedly. Second, the demonstrations pretend to be against corruption in general, but this is not their target. The media and the opposition stress the financial flows involving the PT and downplay the involvement of everyone else, but almost every party and a large number of politicians are tangled up in Lava Jato and other investigations. 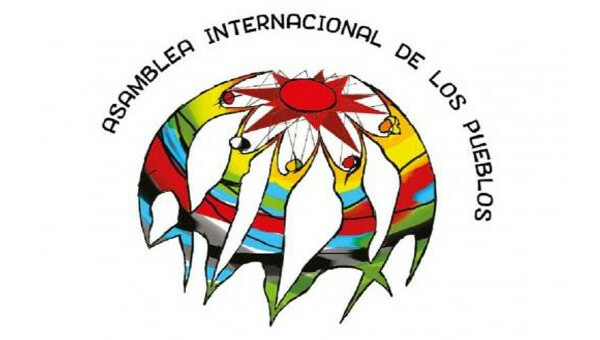 They include the Speakers of the Chamber of Deputies and the Senate, the opposition leader Aécio Neves, and many more. For the media, only the PT matters, for two reasons: because scandals can be used to cut off the sources of finance to the Party, throttling it, and they can detach the PT from the internal bourgeoisie, that has supported and funded the Party since Lula’s election. 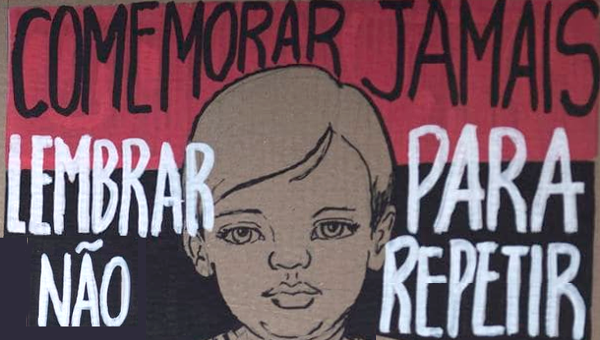 The detention of prominent executives and the CEOs of some of Brazil’s largest construction and oil companies and the threat of bankruptcy against oil and shipbuilding firms because of the paralysis of Petrobras sends a clear message that the PT is not to be supported – or else. influential groups and disputes about political funding. At another level, the shrivelling of Dilma’s administration signals the exhaustion of the political project of the PT: a historical cycle of the Brazilian left is now coming to the end. the mobilization cannot be controlled precisely, and it can just as plausibly grow as it can taper off. In either case, it will leave behind a residue of disgust that can fuel a political spiral of unintended consequences. Beyond this irreducible uncertainty, the fate of the federal administrations led by the PT suggests eight lessons. First, under favourable circumstances the PT disarmed the political right and disconnected the radical left from the working class. However, when the economic tide turned policy confusion and political crisis fed a confluence of dissatisfactions that now risks overwhelming Dilma’s administration. Third, while the PT administrations have managed to reduce the income gap between the middle class and the working class, the political distance between them has increased. 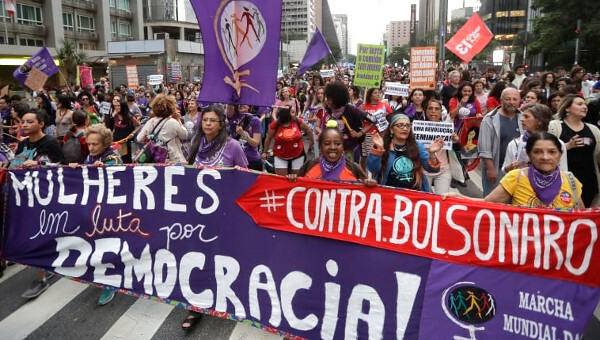 This chasm creates political instability in the short-term and obstacles for democratic social and political reforms in Brazil in the medium- and long-term. remain relevant goals, but the PT has become unable to build the political conditions to achieve them. Fifth, despite its volcanic energy the opposition remains bereft of a programme and deprived of popularity. The PT has been implementing the opposition’s neoliberal macroeconomic policies; the PSDB does not seek to overthrow the government (although Dilma may step down if the situation spirals out of control); the upsurge against Dilma and the PT did not raise the popularity of the opposition (‘they are all thieves’), and no one aims to ‘end corruption’. This is not, then, a crisis of the state or the political system, but a crisis of the hegemony of the PT. Seventh, the Brazilian opposition has become increasingly aggressive. The 2015 movement is large and cohesive; in the meantime, the left is disorganized and bereft of aspirations and leadership. Despite these successes, the right is constrained by its inability to outline a consistent programme, and it has not gained popularity despite the dégringolade of the PT. The combination of strengths and weaknesses on the sides of the government and the opposition suggests that Brazil is entering a long period of instability. The emergence of a new political hegemony may take several years – and it is unlikely to be led by the left.